This product makes history for Kickstarter. Pebble SmartWatch has made $100,000 within 2 hours since from the launching time. Pebble SmartWatch for iPhone and Android price offers start from only $99. It’s beautiful design and features rapidly increase its opening preorder. Pebble SmartWatch is especially designed for iPhone and Android device and make it as most useful product also. It already makes over $2M before it hit on market. 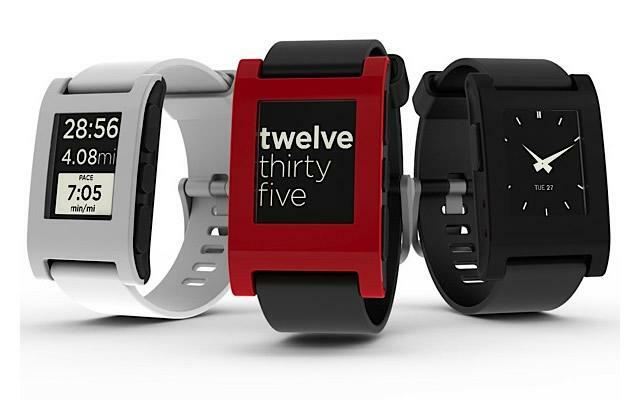 Kickstarter will launch their Pebble SmartWatch in next MAY 18, 2012, 11:00PM EDT. Experts says Pebbel SmartWatch is the best project of Kickstarter. The design and price of this SmartWatch is really awesome. Pebble SmartWatch features are more comfortable and easy to use than any other devices. That’s why the demand of this produc is increasing continuously. If you want to grab your smart watch, then go to the following link to place online order for Pebble SmartWatch.